The Oatmeal Club meets for breakfast, intellectual stimulation and camaraderie every Thursday morning at 7am sharp and ends precisely at 8:20 – typically after a guest’s topical presentation and a lively Q&A session. It’s been meeting and growing for 26 years, and there is now a long waiting list to join. This podcast interview with three of its long-time members examines the remarkable phenomenon of this long-lived informal group. 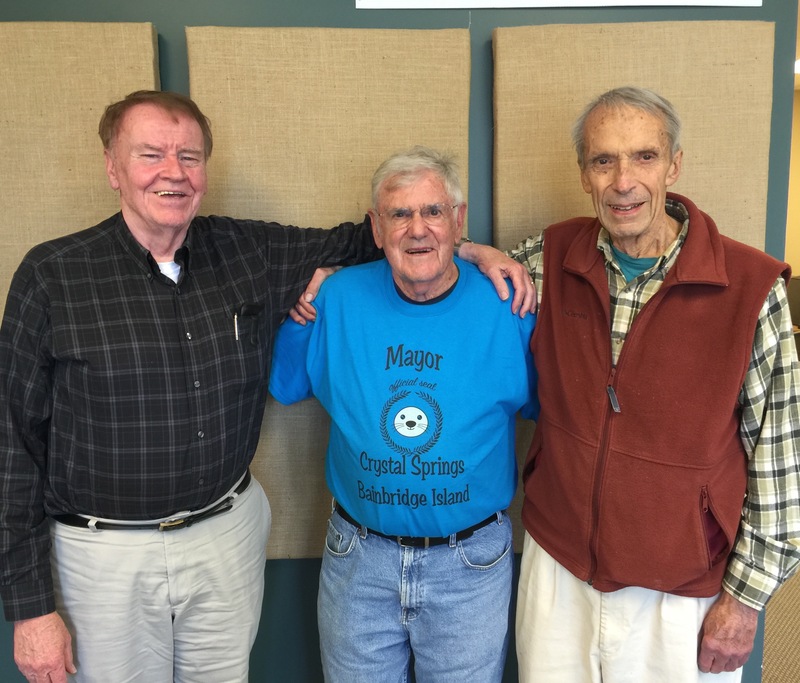 Long-time members of the Oatmeal Club gather at BCB studios: (left to right) retired physician Jim Kadlec, Bainbridge-born Reid Hansen (dubbed honorary mayor of Crystal Springs), and retired banker Donald Marsh. 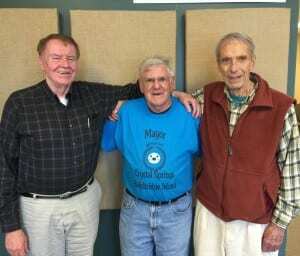 The men’s Oatmeal Club has grown to become a legendary institution on Bainbridge Island since its founding by eight men at Eagle Harbor Congregational Church in 1989. And, after all those years, it now has a long waiting list of men — mostly retirees — wanting to become members. Yet it has no operating rules and no governing body. What’s the secret for such lengthy success? In this podcast, three long-time members of the Club — Reid Hansen, Jim Kadlec and Don Marsh — gather with BCB host Jack Armstrong to talk about the club’s history, the benefits members experience by being part of it, and the amazingly diverse topics covered by its weekly speakers. 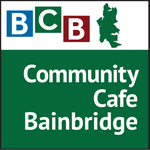 Recent presentations to the Club from outside invited guests have included discussions of climate science, the extinction of Aboriginals in Tasmania, bitcoins, the geology of Bainbridge Island, Supreme Court decisions, and the story of Ometepe (Bainbridge Island’s sister island in Nicaragua). Listen to Reid, Jim and Don explore with Jack why the Oatmeal Club keeps going and growing after all these years. Credits: BCB host: Jack Armstrong; BCB audio editor and social media publisher: Barry Peters.